We school year-round (sort of) to take the pressure off of getting it all done. I work part-time and we really only school four days a week during the school year. So, it’s easier to spread out the learning over the course of a year. But I don’t do a full schedule or heavy schoolwork in the summer. It’s more of “work on stuff while it’s hot” school. But one thing I do every summer is some summer reading to invest in my education on educating my students. I’m working with three kids for the first time (5th, Kindergarten and PreK). I’m currently revamping our plans and deciding on curriculum. With new students to teach, I’ve been thinking about the philosophy of education for my homeschool. I decided to make my summer reading list reflect this and to reflect my goals for what I want my kids and I to accomplish this year. Here’s my summer reading list for mamas getting ready for next school year. Teaching from Rest – Sara Mackenzie’s book on teaching from a state of peace is an annual read for me. I’m a messy perfectionist so I get overwhelmed with all the details and picking curriculum and getting it all done. This book centers me on my “why” I homeschool. If you’re looking for encouragement, I highly recommend starting here. Different – Sally Clarkson and her son, Nathan, wrote this book together to explain what it’s like to live with an out-of-the-box child. It’s a book that’s needed to be written for mothers and children who struggle with making sense of the “differences” and the different mothering approach that must be taken with these incredible kids. I’m halfway through this one and it makes me want to underline all of it. Educating the Wholehearted Child – Clay and Sally Clarkson wrote this one too. I’ve had it my Amazon cart for a LONG time. I’ve been wanting to email Sally and ask her to come have a three-day mama retreat at my house, but that’s a bit, well…not on an introvert’s list of to-do’s ever. I’m working on this one now. It’s so encouraging. 7 Keys to Comprehension – I’m super nerdy when it comes to understanding how kids learn. I’ve got a somewhat reluctant reader. And I’ve wondered if it’s got to do with not “getting it” when she reads, so this book was recommended to get the most important part of reading cemented. And since we’re in 5th grade, I think this is a key focus area. So, yeah, I’ll be that mom by the pool (not really – my year-apart twins would never allow that) trying to absorb this material while avoiding a sunburn under an umbrella. Plan Your Year – I worked through Pam Barnhill’s Plan Your Year last summer and did an ok job of getting started. During the month of July, I’m going to work through it again to plan this year. I’m also going to be using the forms from Your Morning Basket to plan our preschool time (another post on this coming soon) and our family Morning Time. 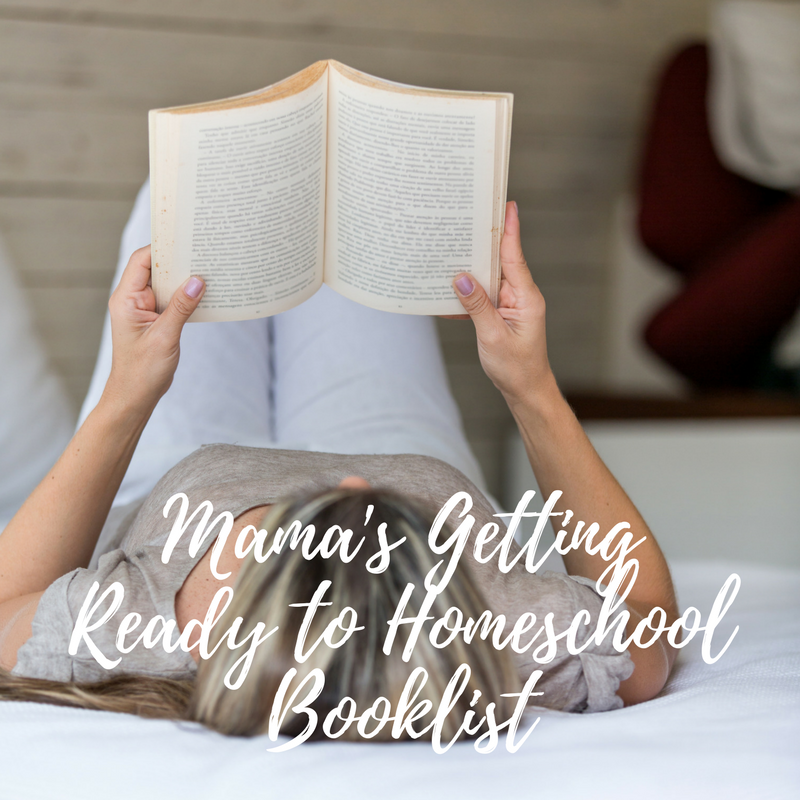 I know that I need a solid, flexible plan to manage being a wife, educating and playing with my kids, work, activities, ministry, and blogging about homeschooling. Laying Down the Rails – I saw two sessions from the author (Sonya Shafer) of this incredible mama helper at the Teach Them Diligently conference last May. While we’re a classical homeschooling family, we love many of the Charlotte Mason “ways” like narration and nature study and living books. I bought this book a few years ago and we’ve hit on it several times in our Morning Time, but I’m ready to get serious about it. As Ms. Mason says, “The mother who takes pains to endow her children with good habits secures for herself smooth and easy days.” I see this as the biggest need in our home this year. So, I need to FINISH the mama reading portion of this book. This is an ambitious list, but I’m confident that I can get a good start and good grasp on a lot of this by setting aside some summer reading time for it. I hope you find some encouragement and if you purchase one of these books through my links, please note that they may be affiliate links. It’s at no extra cost to you, but it helps me maintain this site and blesses our family. Thank for you reading!